The Safco Impromptu Under-Table Printer Stand is a perfect addition to a sophisticated working space. 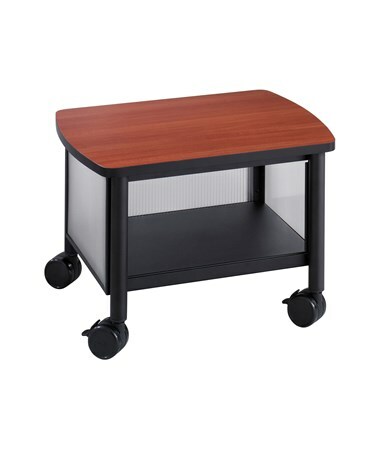 Standing around 14 inches high and 20 inches wide, this cart easily slides under any desk. It has two shelves with the lower shelf having back and side panels. Four two-inch swivel casters allow it to move smoothly on any surface and two of these casters can be locked to keep the stand stationary. This mobile stand has wood shelves, steel legs, and translucent polycarbonate panels. It is GREENGUARD certified, meaning it is safe for indoor use. 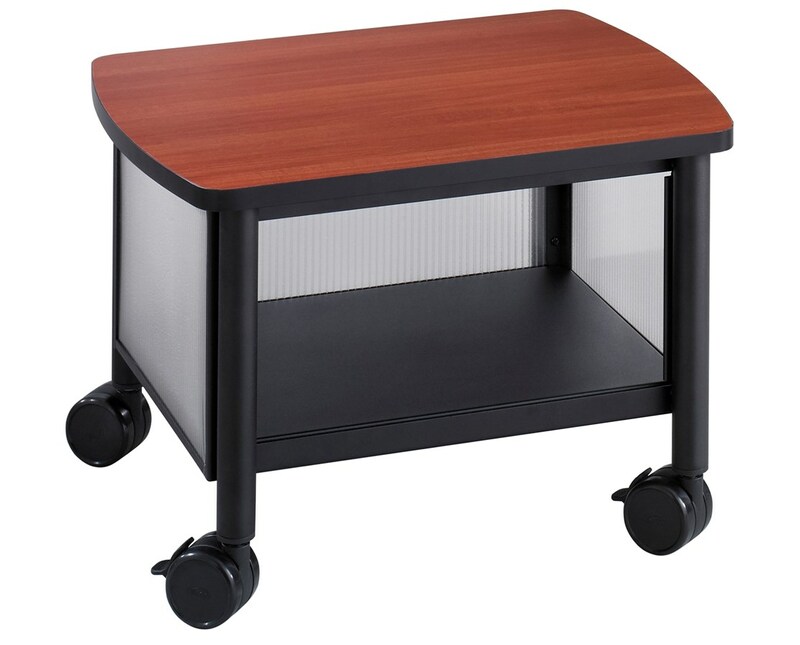 The Safco Impromptu Under-Table Printer Stand is available in two different colors. Please select your preference from the choices above.